Looking for some Noosa healthy holiday ideas? 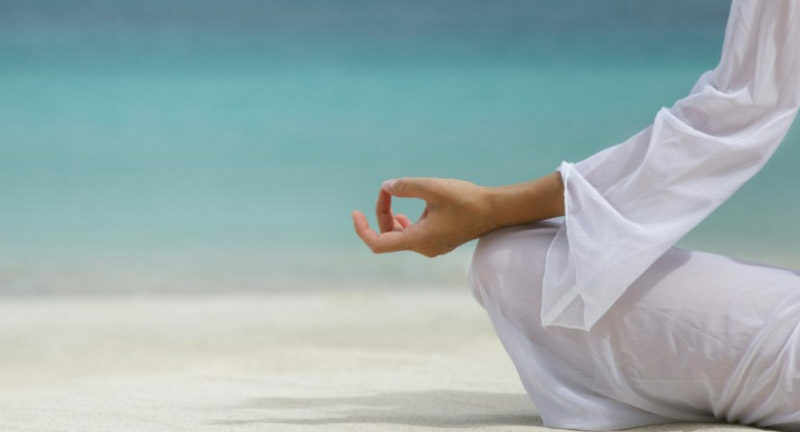 Ever had the feeling you need more than just a break – that you need a complete physical, mental and spiritual recharge? 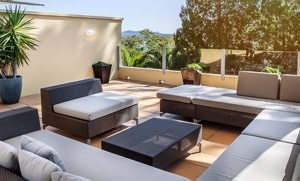 Noosa is the perfect place to have a healthy and deeply rejuvenating holiday. If you are looking for some professional guidance on your healthy holiday, Noosa’s Body IQ is a good place to start. Personal Trainer and Health Coach Kelly Carthy of Body IQ offers a variety of pilates and personal training programs, either in small groups or tailored packages for individuals. Kelly started the popular Pilates by the Sea a few years ago after relocating to Noosa from Bondi Beach. “Pilates by the Sea is pure inspiration and every day the conditions are different,” says Kelly. For the more courageous, Kelly has now pioneered pilates and yoga programs on both kayaks and paddleboards. Kelly offers some great deals to guests through our Noosa Rewards program. If you are self-catering part of your holiday and looking for inspiring ingredients, the Noosa Farmers Market provides an astounding variety of healthy foods. Offering everything from: fermented Kombucha Tea (google it to see the ridiculous number of health benefits); activated (sprouted) organic sourdough breads; free range eggs and poultry to fresh seafood and seasonal organic produce, the Noosa Farmers Market is a destination in itself. Supporting local markets also has the feel good factor of supporting the local community, according to local organic produce Craig Hubbard from local Shambhala Farm. “Our passion is growing organic food and we love welcoming visitors to the markets. We are also happy to deliver affordable boxes to your accommodation,” says Craig. “Every dollar spent at the markets is helping to support our community and our local, sustainable farming practices,” says Craig. Belmondo’s Organic Market is also well worth a visit for healthy supplies. With an organic butcher, fresh produce, whole foods, deli, juice bar, bakery and cafe, Belmondo’s is an organic, whole food lover’s paradise. Closer to Hastings Street in Noosa Junction is The Source Bulk Foods selling bulk dry-foods. This top little shop has an amazing selection of premium nuts, seeds, grains, mueslis, oils, herbs, spices, super foods, health foods and more. You can buy in bulk and scoop out exactly how much you want. Show your room key for a 10% Noosa Reward discount. For healthy restaurant and cafe options, you won’t go wrong with most of Noosa’s fabulous eateries, many of which have a passion for using fresh local ingredients as much as possible. We can recommend Jimmy Fox at Noosaville for gluten free and vegetarian options, Bistro C on Hastings Street for a healthy upmarket treat and Sails Restaurant also on Hastings Street for a great bircher muesli and fruit salad on the beach. Of course, you don’t need to spend a lot of money to enjoy some of Noosa’s greatest healthy holiday options. Research into practices such as Japanese Forest Bathing is proving that just spending time in nature, like a gentle mindful walk through the Noosa National Park, can lower stress levels and bring numerous flow-on health benefits. You can take advantage of the calming negative ions from sea breezes as you power-walk or jog along Noosa National Park’s coastal walks, or a half-hour soak in Noosa’s clean ocean water will let you absorb the full spectrum of essential minerals needed for health, while giving your skin a good detox. You can hire a bike, a stand up paddle board, kayak or canoe and get healthy and active while you see the sites. Our friends at Kayak Noosa at Noosaville have great deals for guests on their guided kayak tours. For those with kids, take a leaf out of Richard Louv’s book Last Child in the Woods on addressing the ‘nature deficit disorder’ facing our children – and let them play in the sand, spot koalas in the national park or learn to surf. For the ultimate in rejuvenation, indulge in one of Noosa’s many pampering services – and they’re not just for the girls! Ikatan Day Spa at nearby Doonan offers complete spa packages such as full day retreats or specific treatments including facials and massages all set within a private Balinese style oasis. Ikatan also offers some great Noosa Rewards offers to guests. As you can see Noosa’s option for healthy holidaying are many and varied and we have only scratched the surface with these few ideas. Enjoy making your own discoveries and we’d love you to share them with us and other guests on our Facebook site.